The Ba football side is doing all it can to ready itself for the OFC Champions League which starts next month. The Men in Black have represented Fiji the most number of times (10) in the competition with their best finish being in 2007 where they finished as runners-up. Ba President, Rishi Kumar says the new format will be a tough one and his team needs to prepare accord­ingly. “Before we used to register 30 players. That has been cut to 23 players and we need solid players in the team to provide that depth. The number of matches has in­creased and we need to cater for all that,” Kumar said. Kumar has confirmed that three Canadian based play­ers have joined the side but will they see their perfor­mance before doing any­thing further. “Yes, we have three play­ers from Canada. One is a defender, one midfielder and one striker. They have been training from last week and we will see how they gel with the other players before making a decision,” he said. The three players are Amol Singh, Troy Wadson and Nathan Thompson. 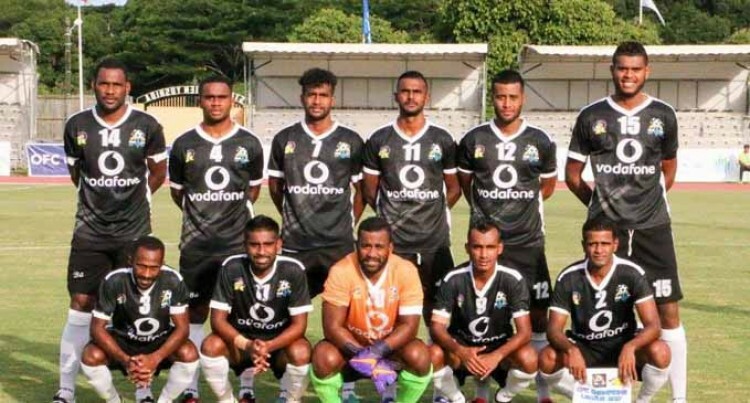 Ba plays its first match on February 10 against Vanuatu’s Nalkutan FC in Port Villa. Other teams in Ba’s pool are Lae City Dwellers while another will be confirmed after the qualifiers.